Civil Service Past Questions – You don’t need An Encyclopaedia to civil service pass job aptitude tests, you need a Simplified and straight to point Sample of past questions and Answer that GUARANTEES YOU SUCCESS. In this e-book you will practice civil service commission past questions and answers on verbal, numerical reasoning, general knowledge, basic knowledge and current affairs. 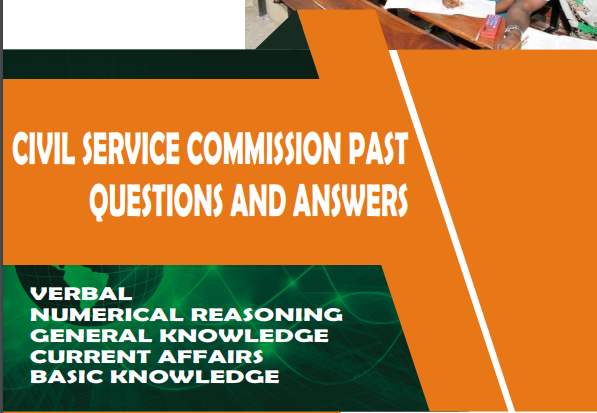 these questions can be used to prepare for any federal civil service commission (fcsc) aptitude test. By practicing over and over again with these tests, you will know what to expect; improve your speed and confidence; and be really prepared for the actual test. Questions were carefully crafted from past civil service job screening examinations across Nigeria. This e-book will equip you to face any job aptitude test and give you an edge over the completion. You don’t need to wait around until job opportunities call before preparing for the recruitment process and part of the major process involved begins with a general aptitude test which usually separates the sheep from the goat, be smart and separate yourself on the winning side by carefully studying this all important material to land that your dream job. please, kindly update me as soon as the forms are out,thanks. Please kindly notify me when the recruitment starts. notifying me when is out? I would be very happy if considered. pls notify me when its time on 08068524749.
please let me get earlier information when the form will be available. please I need a job in oil and gas sector. inform when there’s opportunity. Pls am interested on the job, inform me when the recruitment is out. Notify me when the form is out. please i am interested in this job kindly update me when the form is out.